If you're tired of your kitchen cabinets and ready for a change, you have an important decision to make: reface or replace? To help figure out the best choice for your kitchen, let a professional give you the rundown on the benefits of each option. Because they “basically make or break the kitchen,” updating the cabinets can be a cost-effective way to achieve high-impact results without the high cost and inconvenience of a major renovation. Homeowners in search of a new look for their cabinetry typically weigh two options: cabinet refacing, which involves putting new doors and drawer fronts on the existing cabinet frames, or cabinet replacement. Refacing is the less invasive (and less expensive) of the two options, but despite its higher price tag, replacement “makes the most sense in certain situations,” according to Maykut. For more information on each approach, along with the differences between the two, continue reading! 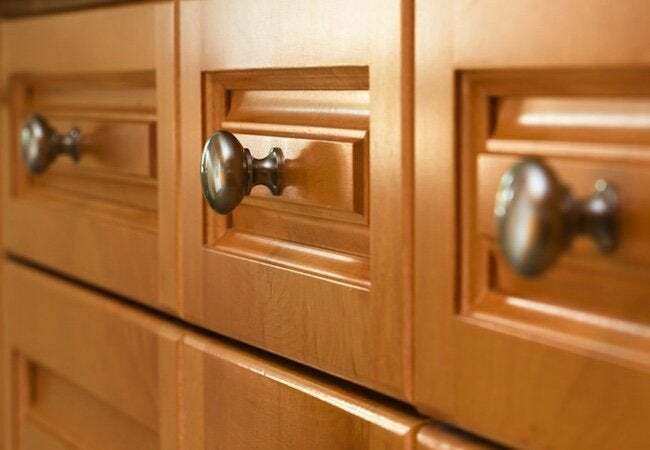 For cost-conscious homeowners, cabinet refacing offers what Joe Maykut of Sears Home Services describes as “tremendous bang for the buck.” That’s because the completed project gives the kitchen a brand-new look, yet the work is confined to the cabinet doors and drawer fronts. The cabinet frames—the boxes that contain the shelves and drawers—all remain in place. Strategically targeting the doors can save you “a small fortune on labor and material costs,” says Maykut, but ultimately the scope of the project depends on how you—and any professionals involved—decide to handle the doors. There are a number of approaches to take. One option: If you like the style of your existing cabinet doors but not their finish, it may be possible to apply a new coat of paint or stain. “Traditional refinishing isn’t always possible,” notes Maykut. 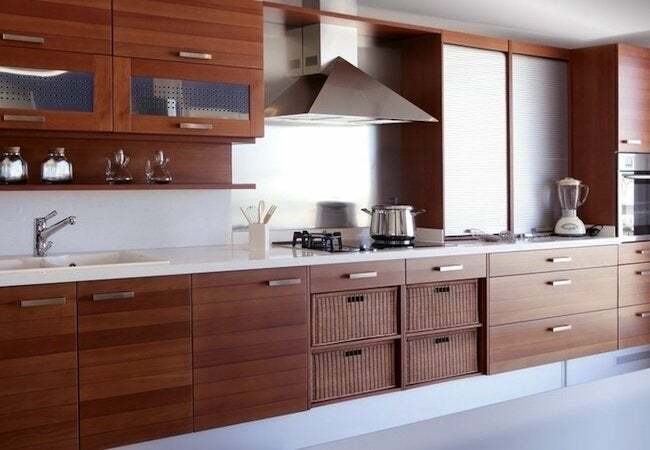 “It depends on what material the cabinets are made of.” For cabinet fronts constructed of a material that cannot be painted or stained, many homeowners consider adding a veneer. Others choose to install new cabinet doors, especially if the existing doors are damaged or out of fashion. With refacing, whatever route you take, Maykut notes that your kitchen doesn’t have to go out of commission for several weeks. For all its virtues, cabinet refacing isn’t the right choice for every homeowner. If you do not like the current layout of your cabinets, for example, then “refacing would be beside the point,” Maykut says. Giving the cabinets a new look would do nothing to alter or improve their usability. Similarly, if your cabinets are poorly constructed or in any way compromised, paying to reface them would be, in Maykut’s view, “throwing good money after bad.” To help figure out the best approach for your needs, Maykut recommends meeting with a contractor who can advise you on your options. Call around to get estimates from contractors in your area, or contact Sears Home Services for a free in-home consultation. Whereas refacing affects only the look of your cabinetry, replacement opens up the possibility of fundamentally changing the layout and functionality of your kitchen. 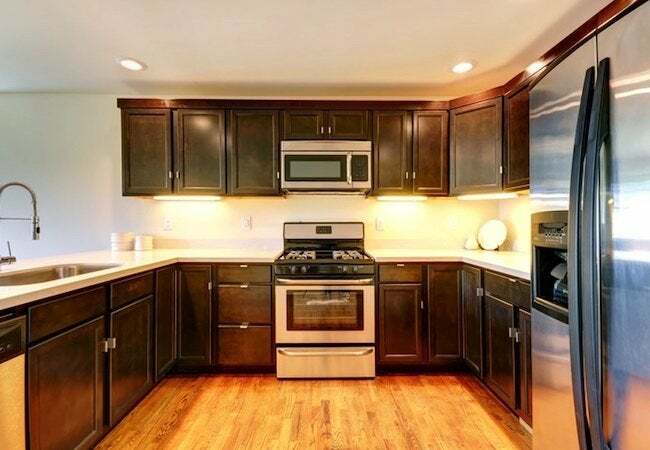 To be sure, you could always just swap new cabinets into the space left by the old set. Homeowners who opt for replacement typically do so for reasons that go beyond aesthetics, Maykut says. “They want a kitchen that reflects not only their style, but also how they cook and eat and entertain.” In other words, new cabinets can transform the kitchen so that it more precisely responds to your family’s habits and needs. The more improvements you plan to make, the broader and more complex the project becomes. 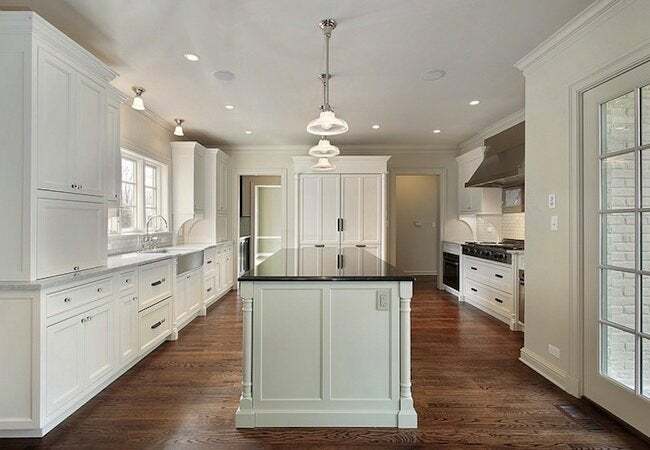 Particularly in the kitchen, where so many components fit tightly together, renovation often involves orchestrating a series of separate-but-related undertakings. For instance, Maykut explains, “if you remove the base cabinets from one part of the kitchen, then you’ll have to add flooring where they once stood.” Similarly, once you’ve decided to install new cabinets, you may be tempted to spring for new countertops as well. One thing leads to another, which means that cabinet replacement, already a more labor-intensive and expensive proposition than refacing, can run up significantly higher costs. The kitchen plays a central role in the life of any household. It’s where you pour that first morning cup of coffee, throw together casual family meals, and lovingly prepare holiday feasts. Remodel it, and you’re going to live with the result for years to come. Don’t you want to be sure that your kitchen will be a room you’ll love? Turn to Sears Home Services for a little peace of mind. The company even backs its work with a Satisfaction Guarantee, so right around the time when your local contractor might be saying goodbye, your relationship with Sears will only be beginning.